Here's volume 3. I checked the next volume and like the 2nd half of it is the security team fighting the demon armours coming alive. That's literally it. No wonder why there's so much volumes. Anyway, do enjoy. See ya! 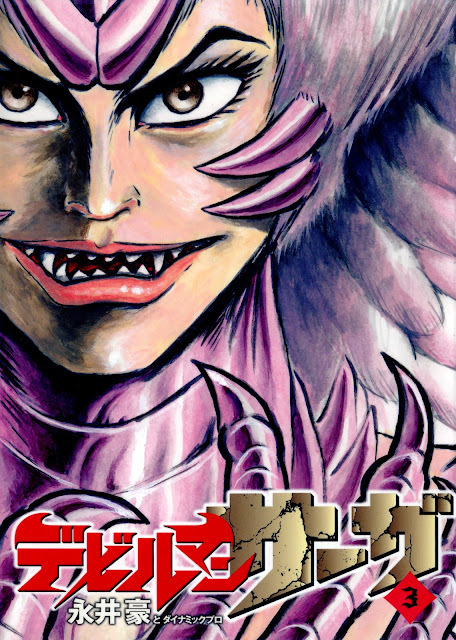 Well, if you want more text in Nagai, try Gekiman (I would read it)! No interest in Gekiman to be honest. Besides, I'd rather work on manga than something like that. Are planning on translating mazinsaga in the future? I'm not too big a fan of Mazinger, and I'd rather work on something else than go head-long into more Nagai. Especially when it's multiple volumes long.